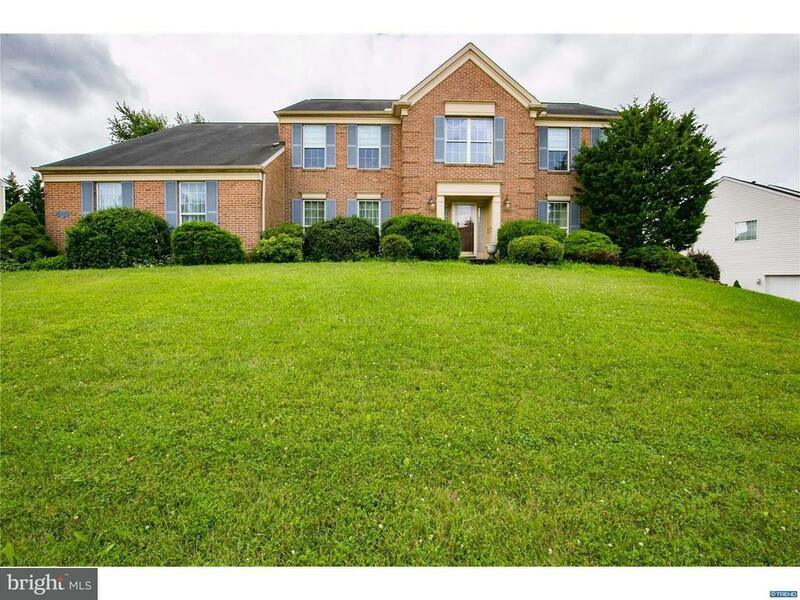 Stunning 4BR/2.1BA brick colonial available in popular Middle Run Crossing! A stately two-story foyer greets you with hardwood floors that lead you through the spacious dining room and open concept kitchen and family room. The bright kitchen offers ample white cabinets with granite counter tops and stainless steel appliances. Enjoy your morning coffee on the expansive custom brick patio overlooking the .40 acre level private lot. The adjacent family room features floor-to-ceiling windows and cozy brick fireplace. An inviting living room, laundry/mud room and tucked away office with a view of the lovely backyard complete this level. A turned staircase will lead you upstairs to four large bedrooms, including a master bedroom with vaulted ceiling, walk-in closet and luxurious master bath with updated shower doors, double sink and soaking tub. Looking for a space to entertain friends? The impressive finished lower level is the perfect place featuring a recreational space, office space and loads of room for storage. All of this and conveniently located minutes from downtown Newark, University of DE, parks and shopping. Schedule your tour today!